Image from Sears catalog, fall 1924. 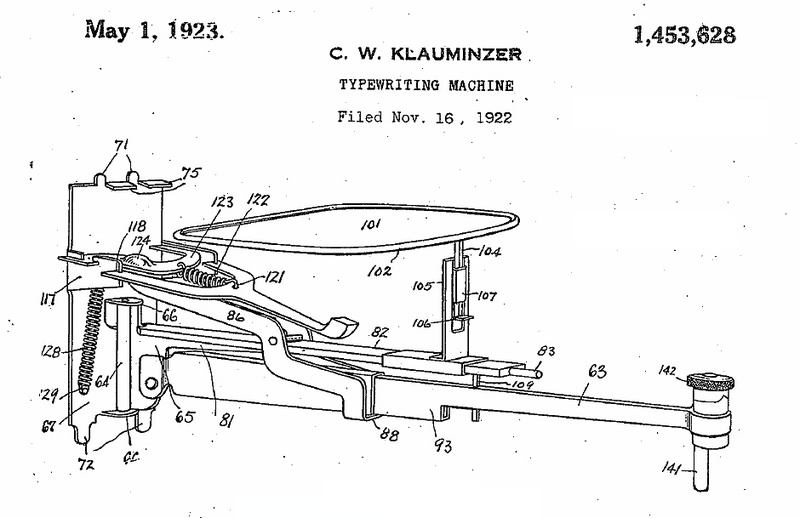 Klauminzer described his machine as having “but few parts,” a common claim in patent applications, and, indeed, it was comprised of few parts. How well did it function? 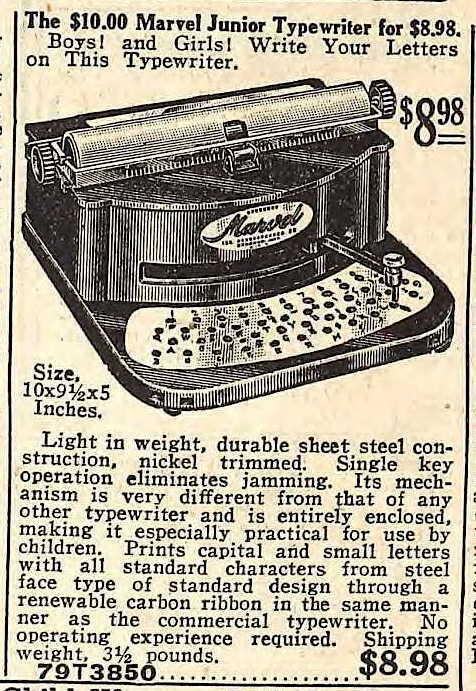 Likely as well as any other index typewriter; in other words, modestly. Children must certainly have enjoyed it, though. One wonders what playful messages they must have typed upon it! What can be known about the inventor is sparse. Klauminzer is listed in a 1923 Cleveland, Ohio, phone directory as president of the Marvel Typewriter Company, incorporated in 1923,1 and associated with the Employing Photo Engravers Association. Photo engraving seems to have been his primary occupation.2 A search of Ancestry.com indicates he lived his entire life in Cleveland, being born in 1878 and dying (relatively young) in 1936. I assume that both the Melcher and the Marvel are fictional. Whatever the case, Klauminzer’s Marvel was real, and hopefully someone in the typosphere has one. If anyone locates this machine, please send an image to netadams (at) gmail. © 2015 – 2016, Mark Adams. All rights reserved. Next post: Yankee Doodle Dandy!